It takes an Irishman living in Ghent to bring the first topic on Belgian beer in general to The Session. 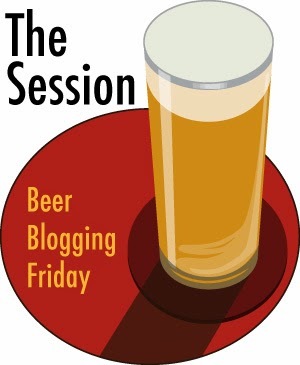 Sure, plenty of session articles have been written about Belgian beer. The second session topic in 2007 was about Dubbels but we have never been given carte blanche to write about Belgian beer as a topic. In The Session 91, Breandán at Belgian Smaak asks us write about our first Belgian beer experience. That can take any form we like and may not even be about your first experience with a beer from Belgium, perhaps you have been drinking it for years and suddenly you discover something new. I could take the topic literally of course but if I did that, it would go something like this. My first Belgian beer was Stella Artois. The end. I could write about my first lambic experience of course but then, I already have. It was Cantillon Kriek on cask in Rome and I was very confused. How things change! What I've decided to do instead is to concentrate on the first Belgian beer I wrote about on this blog. That involved delving back to my first few articles and back into a world of old post cringeworthiness. 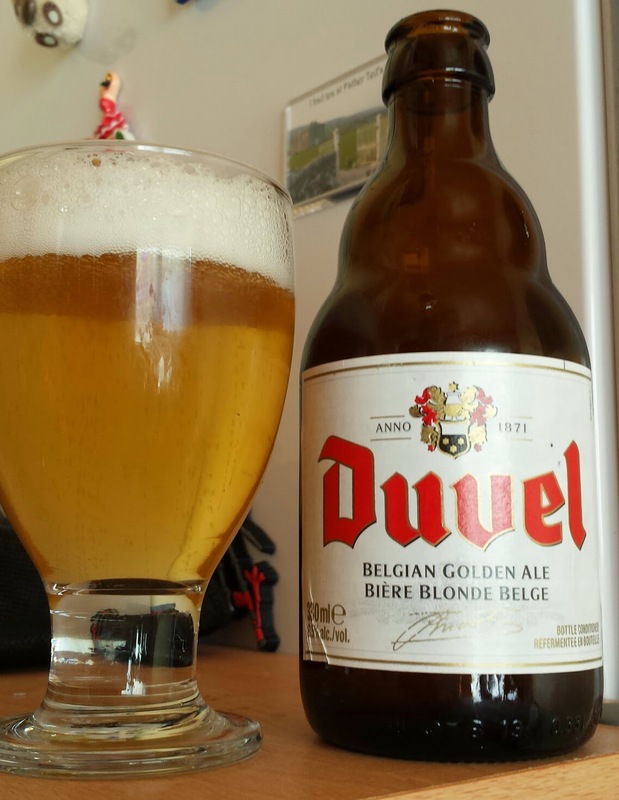 In February 2009, I wrote an embarrassing post* about how Caledonian 80 was better than Duvel. This was my first experience with Duvel and if I'm honest, I haven't had that many since. The problem is that it's so prevalent I just never think of it. So what do I think now? It's over 5 years later? My tastes have changed completely during that time so I must have a different opinion of Duvel now. There's a fresh cut straw, honey and caramel and pilsner malt in the aroma. On tasting I find it very fizzy, that's to be expected in a Belgian blonde. Honey and pils malt with a crisp mouthfeel. Alcohol is obvious but it's not sickly sweet like other Belgian blondes. There's a slight sour finish that's barely perceptible. It finishes chardonnay dry. Do I like it? Sure, it's a great beer. I still don't quite get why it's on such a high pedestal? Maybe because it's hard to make such a big beer as refreshing as a pilsner, dry as a chardonnay and as effervescent as champagne. Either way, it's a worthy beer to mention for this months session. It's not quite my first Belgian beer, but it looks to be the first one I wrote about over 5 years ago. *I say article these days but this was definitely just a post.